Goodbye PPPs, Hello Albanian Investment Corporation! As I have explained previously (here, here, and here), most of the so-called concessions never made much economic sense. They were a hidden, and more expensive, form of public debt without any benefits whatsoever for the public. While true PPPs have their pros and cons, and are widely debated in economic circles, their application in Albania had all of the latter and none of the former. Unfortunately, our enthusiasm about their abolition should be muted. The government is not really planning to step away from these contracts. It is taking a further, much more extreme, and much more dangerous, step to strengthen its ability to sign contracts with little accountability and hard-to-define public “benefits.” The government has recently published a draft law for a new financial institution, the Albanian Investment Corporation (ATRAKO). The powers and reach of this institution to engage in “innovative” financial schemes are way beyond those provided by the law on public-private partnerships. What does the Albanian Investment Corporation do exactly? The establishment of ATRAKO has been rumored for a long time, with previous decisions paving the way. Doubts regarding such an institution began to emerge last summer, when the Government announced that most of the territory along Albania’s coastline would be dedicated to a “fund for supporting strategic investments”. – It will do so by acting entirely out the public procurement law. ATRAKO has free rein to act as a private company with the assets under its control. – It can enter into agreements with third parties for any investments that it deems valuable. – It can use its assets as a collateral to obtain further loans from financial institutions. If this sounds a bit crazy, well… it’s because it is! 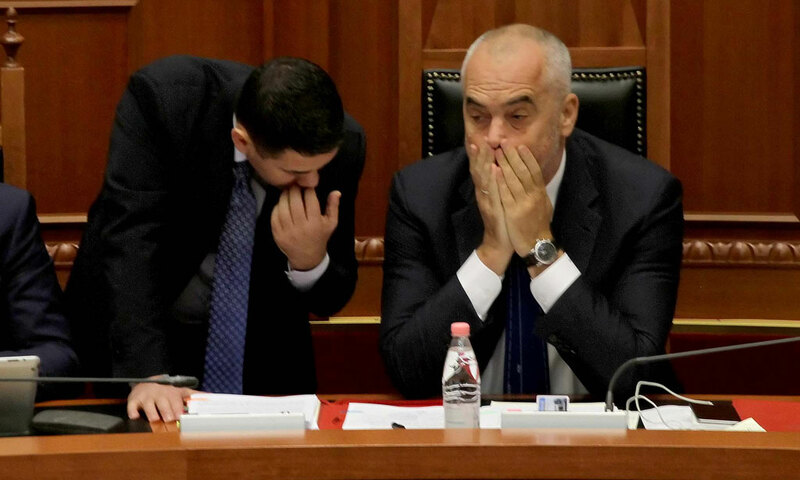 Essentially, the new institution will be granted complete independence to manage Albania’s public assets outside the current legal framework. Sure, the law claims that further standards and criteria will be determined by future by-laws, such as Council of Minister Decisions (VKM). Unfortunately, Albania and the current government have a long history of using the excuse of by-laws to pass laws without the required protection of public interests. For example, the law on Higher Education was supposed to be supplemented by further by-laws. Even four years after its initial approval, those by-laws have yet to be written. The “Special Law” for the construction of the National Theater, a miniature model for ATRAKO in many ways, also provided no clear conditions and criteria on how negotiations were to be held between a public commission and a private firm regarding the use of public land. The special law thus provided a legal protection for the misuse of public land, instead of its protection. The ATRAKO draft-law also claims that any financial losses will be incurred by the Corporation and not the public budget. This is a worthless guarantee since the initial capital through which ATRAKO will operate with is made up entirely of public assets, and potential losses will be financed through them. This might include a loss of land ownership in case of collateral collection by financial institutions. How is the Government justifying all this? They really aren’t! In the accompanying report that explains the law’s objectives, the Government makes two very broad claims. The first claim is that this new institution will allow the government to attract larger, more important and strategic, investments. As one might expect, this statement is backed up by no further explanations. There is no analysis on why the current legal framework fails, and what type of investments exactly need an institution such as the ATRAKO. The second claim is that this type of institution can be found in other countries and has been developed through the assistance of CID, the Harvard-based think-tank which assists the Albanian Government under a Soros-funded contract. Unfortunately, once again, no true examples are provided from other countries so as to measure the impact and usefulness of such corporation. CID, to my knowledge, has also not published any reports or documents supporting this claim. Furthermore, the report also accepts that such a law does not attempt to fall under the acquis communautaire, the EU’s legal framework, which Albania is bound to follow according to the integration process. Therefore, one might conclude that this institution goes against the nature of EU legislation, and whatever “best examples” the Albanian government found for such corporations, they reside outside the EU. So, do such institutions exist elsewhere? ATRAKO will most likely be labeled as a Sovereign Wealth Fund by the Government once it is approved. The label though, just as in the case of PPPs, will not mean much. The public might be familiar with the basic Sovereign Wealth Fund used by oil-rich countries to manage part of their profit for future generations. Norway currently has the world’s most famous, and successful, fund. The Gulf nations have their own versions of SWF, but they tend to invest more in luxury residential properties, often used by the leaders of the country rather than the people themselves. Clearly, ATRAKO is not similar to these cases. The most similar institution is the Turkey Wealth Fund. In fact, its setup is incredibly similar to Albania’s. The initial capital for the TWF was made up of public land and shares owned by the Turkish government in various companies. The stated goal of the Turkish fund was to obtain foreign investments at lower costs. It was created close to two years ago, as the Turkish economy began to suffer capital flight and currency deprecation. It is difficult to understand whether this institution allowed the Government to mismanage the companies and the assets under the fund’s control – most outside observers believe that companies are already under the total control President Erdoğan anyway. Furthermore, the TWF failed in its initial objective to attract further investment and in September 2018 Erdogan changed all of its leadership… by putting himself and son-in-law directly in charge. The scariest example however, is the continuing scandal of Malaysia’s 1MDB Fund. The fund, which was initially financed by public loans as well as oil income, was supposed to be a partner for “strategic investments” in the country (sounds familiar?). The fund was also supposed to be managed professionally and paid handsome fees for consultancy services to Goldman Sachs, arguably the world’s most famous investments bank. All of the operations would occur under the watchful eye of the Ministry of Finance. Today, all of these claims have been proven false. The Fund has become famous across the world, but not in a good way, and it is under investigation for channeling over US$1 billion into the personal accounts of the former Prime Minister, all with the help of investment bankers hiding the accounts across a number of off-shore bank deposits. Despite the initial guarantees regarding management and transparency, the fund never had a proper auditor check its books. While Turkey serves as an example that accounting tricks such as these “innovative funds” cannot cure the underlying problems of an economy, Malaysia provides a stark reminder that the merger between private and public interests in a country with little accountability leads to outright theft.